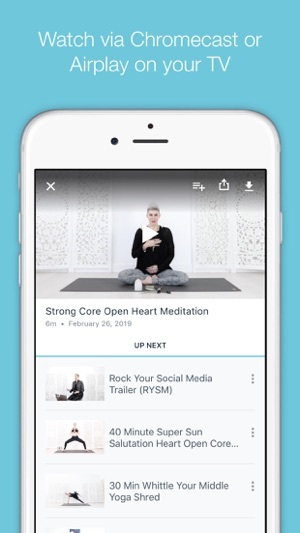 Welcome to the Fit & Fierce Club: A better yoga and faster fitness app that gives you more results in less time—great for busy people! Get ready to work out smarter—not longer! In under 30 minutes a yoga or fitness-based class here, you’ll get the exact same strength, weight loss, cardio and flexibility benefits as if you did 2-4 HOURS of most other yoga or gym classes—all at home! Sadie is a world-renowned yoga, anatomy and fitness expert, here to teach you safer yoga, better workouts, and get you faster benefits—with new classes added each week. This is a DIY fitness and yoga resource you’ve got to have! Her Core Strength Vinyasa Yoga® style is joint-safer and based on her decades of anatomy knowledge—unlike many common classes. You’ll learn how to get safely stronger and more flexible, as you have fun and flow through creative, empowering yoga classes—great for any level. It cross-trains you to be more powerful in any yoga class! Her Yoga Shred® classes are a masterful blend of fierce fitness and soothing yoga that you’ll love. Her signature HIIT (High Intensity Interval Training) moves are based on yoga poses and optimized joint anatomy, to get you more fit than spending hours at the gym—in under 30 minutes. You’ll see! Over 100 hours of various classes you’ll love—with new ones added each week. HIIT (High Intensity Interval Training) plus yoga workoutsto rock your fitness to the next level—with less impact on your joints than regular HIIT / gym workouts. 30 Minute classes to fit your busy schedule—but you get the results of 2-4 hours of working out! Classes for Strength, Flexibility, Hip Opening, Detox, Weight Loss, Fat Burn, Low Back Release, Core Conditioning, Cardio Optimization, and so much more! 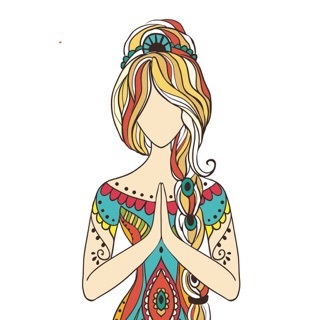 Meditations and Life Motivations to help you stay centered, clear and confident in this chaotic world! All guided by Sadie Nardini, one of the world’s top yoga and fitness instructors, and bestselling online class creators. 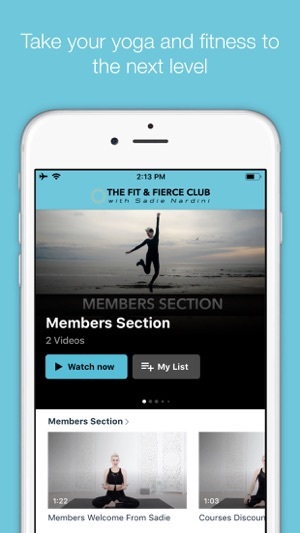 To access all features and content you can subscribe to The Fit & Fierce Club on a monthly or yearly basis with an auto-renewing subscription right inside the app. * Pricing can vary by region and will be confirmed before purchase in the app. In app subscriptions will automatically renew at the end of their cycle. * All payments will be paid through your iTunes Account and may be managed under Account Settings after the initial payment. Subscription payments will automatically renew unless deactivated at least 24-hours before the end of the current cycle. Your account will be charged for renewal at least 24-hours prior to the end of the current cycle. Any unused portion of your free trial (if available) will be forfeited upon payment. Cancellations are incurred by disabling auto-renewal. The new Fit & Fierce Club app is amazing! 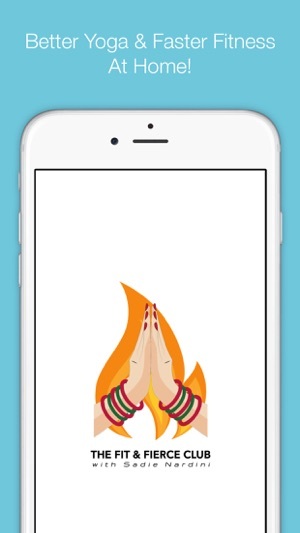 I had the previous Ultimate Yoga app that was discontinued and the new one automatically updated on my phone. So much content and great workouts, recipes, tips and life wisdom. AND it can all be accessed through the Fit & Fierce Club website where I can be apart of the forums, etc. Sadie is a great teacher for all levels! Yoga Shred is my favorite!!! The results are incredible without having to dedicate hours and hours to a practice. The new App is so great and easy. And there’s so much more content!!! !